Summer is on its way, and if you want to make the most of your outdoor space, now is the time to get started on an outdoor kitchen. One of the best ways to enjoy your deck is with an outdoor kitchen. That’s especially true in a place like Texas with plenty of warm weather. This year, extend your summer kitchen outdoors with these top trends. When you’re designing your outdoor kitchen, put a lot of thought into your lighting. On one hand, it needs to be functional. Position it so you can see all the cooking areas you need. On the other hand, your lighting needs to be aesthetically strategic. Highlight the best features of your outdoor summer kitchen. Choose lights that flow in a welcoming, warm way. Decide whether you want your space to be bright and airy or if you prefer mood lighting (or have options for both). You’ll use your outdoor summer kitchen space for many things – cooking, entertaining, and more. 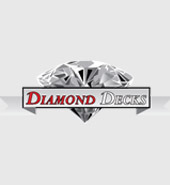 When you’re planning your deck renovation, set up specific spaces for these functions. An easy way to define a space is with flooring. For example, use stone for the cooking area, but wood with an outdoor area rug for a sitting area. The latest trend is to make your outdoor space an extension of the inside of your home. To make it more comfortable and functional, many families are using outdoor electronics. And who wouldn’t love following along with a cooking show in their outdoor kitchen? TVs, sound systems, and other electronics are great for parties and casual afternoons. A word of caution, though: make sure everything is designed for outdoors. There may be special precautions you should take to protect them from the weather. To be safe, hire a professional in designing outdoor living spaces. There are many ways to arrange seating in your outdoor space, but bar stools are in the spotlight today. Many homeowners have limited space in their outdoor kitchen. Bar-style seating uses a small amount of space. Plus if you have it next to your counter space, you can socialize while you cook. You need to decide if you’ll be using your outdoor kitchen for parties with appetizers or for full meals. Bar stools are perfect for parties where guests are floating around and nibbling. This lets you use larger areas for couches and comfortable, relaxing seating. But if you’ll use your deck more for family meals, you’ll need an outdoor dining set instead. One of the latest trends in outdoor kitchens is the woodfire oven. For a pizza lover, there’s nothing better than a woodfire-grilled pizza. But of course, you also need the modern, versatile grill as well. Whether you’re a beginner or a true chef, having a multi-faceted outdoor summer kitchen is a must. On top of cooking options, today’s outdoor kitchens have as many appliances as indoor ones. Homeowners want their deck kitchens to have refrigerators, sinks, and even dishwashers and wine fridges. Anyone who has hosted a grill party knows the challenge. If your sink, fridge, and other essentials are inside, it adds confusion and difficulty. For homeowners who do a lot of outdoor entertaining, having a well-equipped kitchen outside is a game-changer. As with electronics, make sure all your appliances are designed for outdoor use. Every outdoor party needs a warm fire to gather around. Today’s outdoor kitchens (and other spaces) use fire features as the focal point. The type of fire feature you use is up to you. Often it’s a fire ring surrounded by comfortable seating. The wood-fired ovens we described earlier can also be fire features if it fits your outdoor kitchen design. What’s a summer kitchen without plenty of tools for your culinary adventures? When it comes to outdoor kitchens, stainless steel is the way to go. You’ve probably noticed that most outdoor kitchen appliances are stainless steel. But for a consistent design, many homeowners are now also carrying the stainless steel to cabinets and drawers. The key is balancing your stonework or other design elements with the stainless steel so it doesn’t look too futuristic. Opt for a stack of three stainless steel drawers, or a pair of hinged stainless steel doors. For a look that’s unique to outdoor spaces, seat walls are a perfect choice. Use stonework to create what looks like a wall on the edge of your kitchen. But make it a size and height that lets it serve as added seating space as well. To make your guests comfortable, use cushions and/or throw pillows to define it as a seating space. And don’t forget to be aware of the surroundings as well. For instance, don’t have a seat-level garden right next to the wall where your guests could accidentally sit on or lean against the dirt. We’ve talked about defining your outdoor kitchen space with flooring, but a “ceiling” can do the same. But you don’t want to completely close off the area from the sun because you couldn’t enjoy the air of your summer kitchen. A pergola is the best of both worlds. If you’re new to the term, a pergola is a wooden structure that uses four corner posts with wooden beams across the top. It sets your kitchen apart from the rest of your outdoor space, but it’s still airy enough to let you embrace the outdoors. At the end of the day, this is your outdoor space, and it should be designed around you. The trends above are popular in Texas and throughout the US, but don’t think you need to incorporate all of them. Choose the ones that align with your tastes and the ones that fit your kitchen’s functions. For more tips for designing your outdoor space, explore our blog. 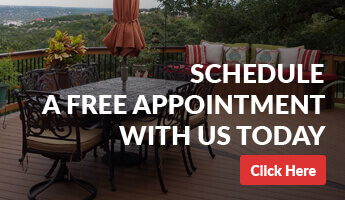 Or, if you’re ready to start on your dream summer kitchen, call our deck experts.